What's New in Association between Musculoskeletal Disorders and Quality of Life? What is Deficiency or Inadequency of 25-Hydroxyvitamin D? - How does it Harm Healthy Individuals Physically and Mentally? Vitamin D and Cartilage: Does Vitamin D Influence Cartilage Integrity? Is the Mini-Squat a Fundamental Knee Rehabilitative Exercise? Treating Mitochondrial Myopathy: Can we Boost Oxidative Phosphorylation Activities by Enhancing Mitochondrial Biogenesis? 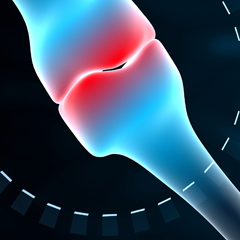 Treatment of Osteoarthritis by Gene and Cell Therapy: A Clinical Reality?